Little girls love dolls. Peyton loves dolls. Every time we head to Target Peyton asks if we can swing by the toy aisle, she just wants to look and see what there is. We always have to take stroll down the Our Generation section of the store to see what is new. 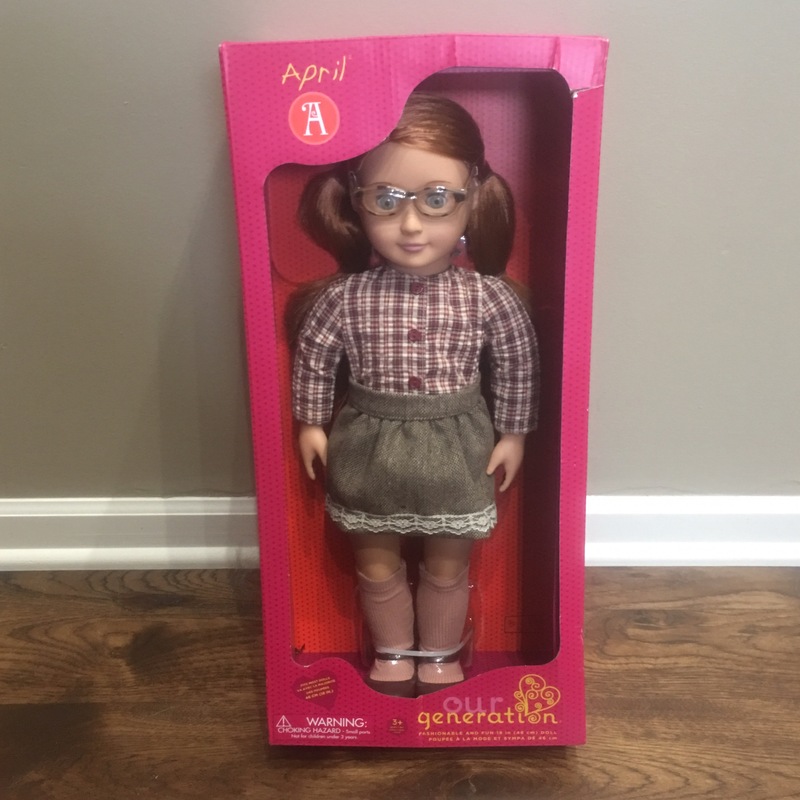 For those of you not familiar with Our Generation, let me fill you in on them, they are a line of 18″ dolls with clothing lines, accessories, pets and more. I appreciate the large variety of dolls at our store. There are dolls with long hair, medium length hair, curly hair, straight hair, brown hair, blonde hair and more. Some wear glasses some do not. Some are dressed in dresses some in pants. 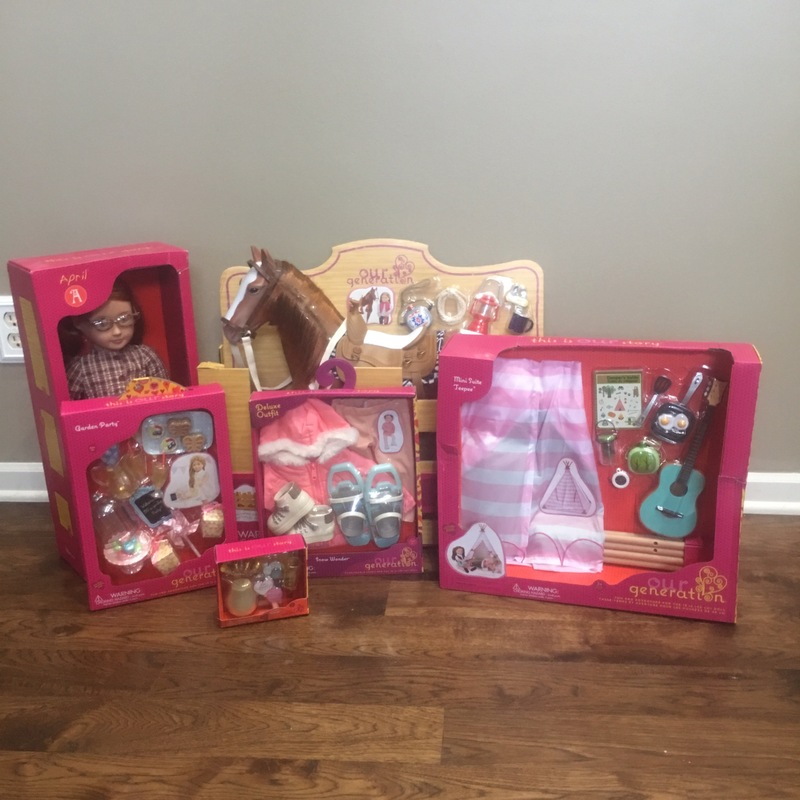 There are 5 lines of dolls – regular, deluxe, hair play, specialty and retro dolls. Our Generation has thought of everything when it comes to your dolls world. They have pets! Lots and lots of pets to choose from. 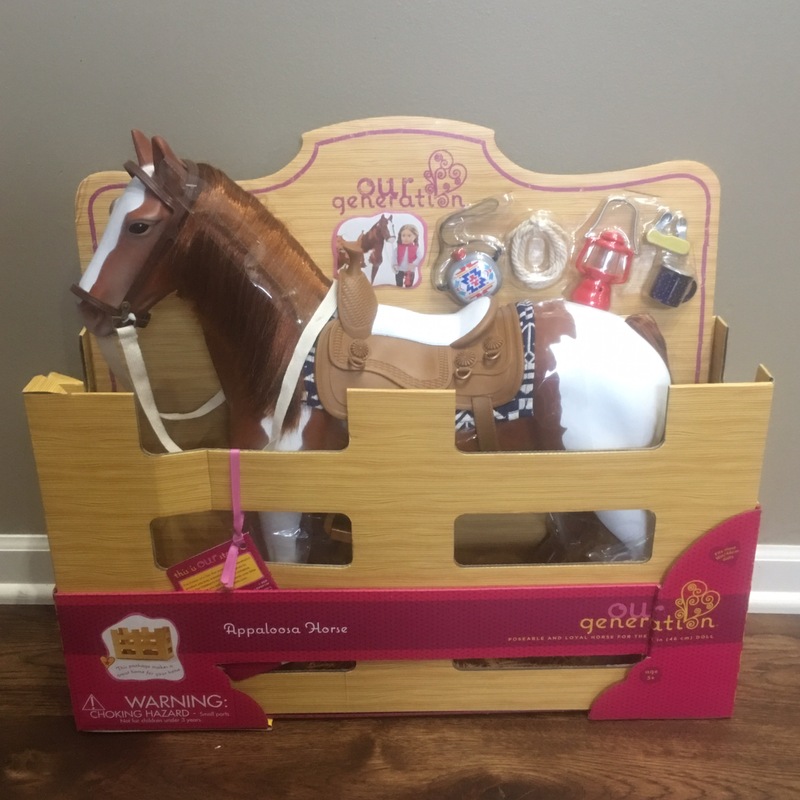 With a wide variety of cats, dogs and horses you are sure to find the perfect match for your doll. The clothing lines are my favorite. There are so many outfits to choose from! You can take your doll for a winter adventure or a weekend of nature. They even have rain coats and fancy dresses. With so many outfits to choose from, no playtime will ever be a like. The combinations of clothing and adventures are endless! Did I mention the furniture? There are beds, cars, scooters, tables, stables and more! And the best part is that all of this is affordable and accessible to every child. If your daughter can dream it, Our Generation has probably thought of it. 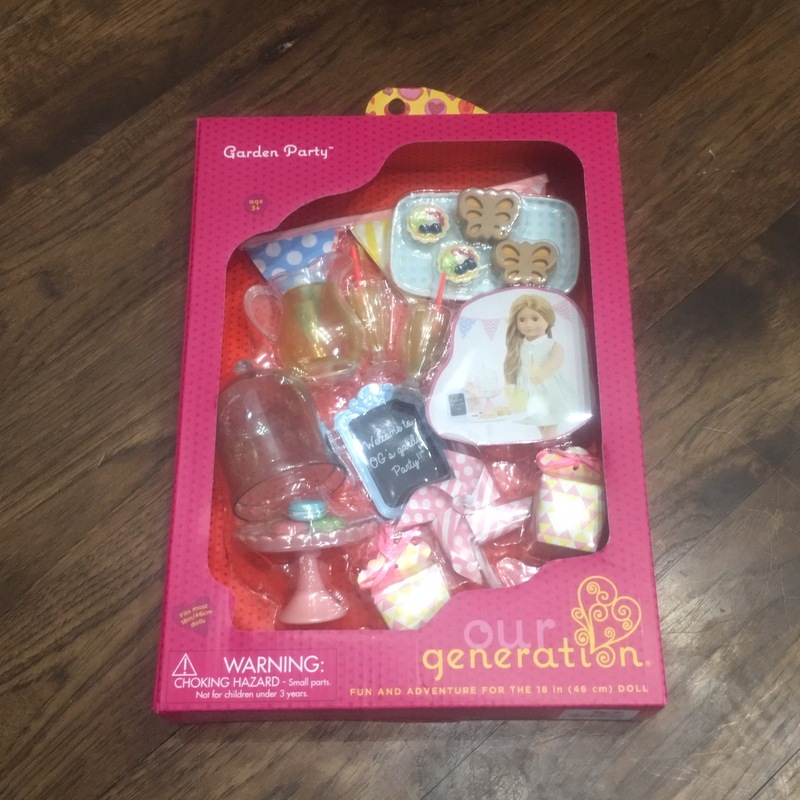 Our Generation is available at Target and Target.com. If you keep your eyes open, throughout the year you will occasionally find deals. Like the deal I found on this horse, it was 50% off on Cartwheel! I’ve also seen the clothing sets on sale throughout the year and once I even saw all the large housing sets on sale for 50% off (though that was a Black Friday deal a few years ago)! I appreciate the depths Our Generation has gone to. When Peyton was obsessed with ice skating last year, I found Phoebe, she was dressed and ready to take on winter. Peyton carried Phoebe everywhere with her that winter. No matter what your daughter’s passion is, Our Generation will have a doll, outfit and accessories to match. We are huge campers, every year Peyton and I take at least one camping trip together. Our Generation has a camping set! Now, when it’s freezing outside, Peyton can pretend to go camping with her dolls in our living room. Just another way, Our Generation encourages imagination. You can see the whole line of Our Generation products online. Each Target store has a different selection of products. Be sure to check online to see if your store carries the items you desire or order them online. 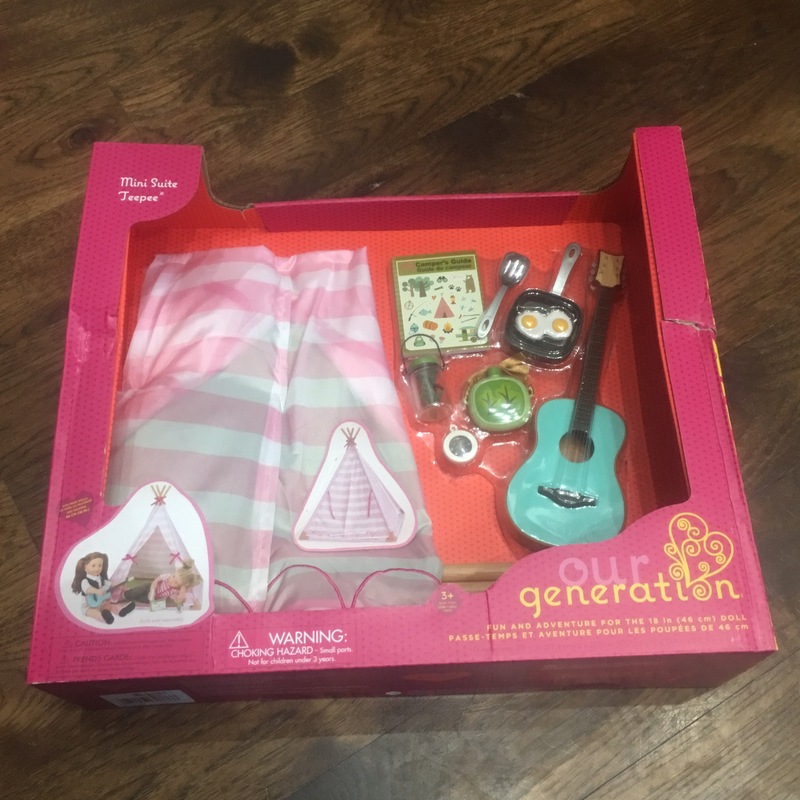 Select items from this article where provided by Our Generation – 18″ doll and Camping Set. All other items pictures were personally purchased by myself.